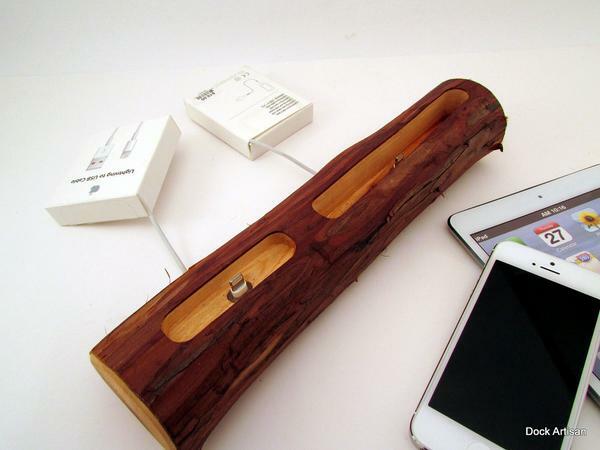 Want a neat and natural way to charge your iPhone 5 and iPad mini at the same time? Take a look at the handmade docking station, maybe it can meet your requirements.This is an eco-friendly docking station designed for iPhone 5/iPod touch 5G and iPad mini, and handmade by Joel from California. As we can see from the images, the docking station features elegant, natural design, and is made from sierra redwood and coated with a combination of beeswax, carnauba wax, and orange oil for enhancement of natural beauty and depth of grain in finished woods, of course, the treatment is good enough for durability. Moreover, the docking station also features two custom designed slots for iPhone 5/ iPod touch 5G and iPad mini with or without medium sized cases, while two integrated Lightning cables allows you to charge the two new iOS devices simultaneously. 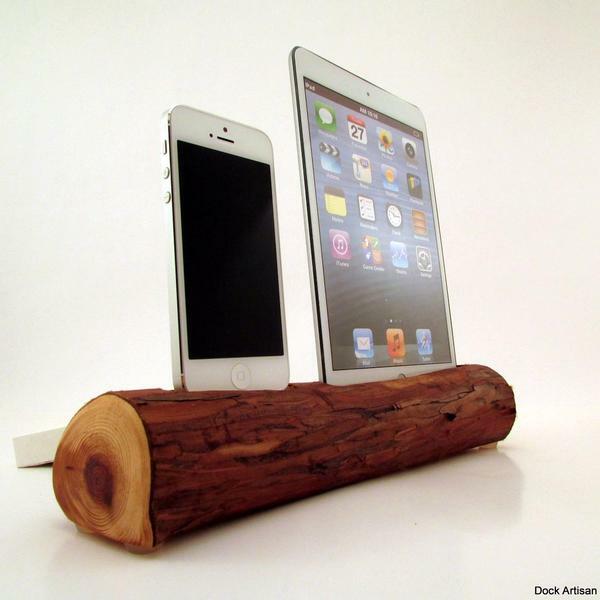 The handmade wooden docking station is priced at $180 USD. If you’re interested, jump to Etsy for more details.